Happy First Day Of Summer!!! May your days be filled with plenty of sunshine and heat. I love the summer…just call me old Mr. Heat Miser. “I’m Mister Green Christmas, I’m Mister Sun, I’m Mister Heat Blister, I’m Mister 101. They call me Heat Miser, What ever I touch, Starts to melt in my clutch, I’m too much!“. Guess where that came from and if you do get it…pat yourself on the back. To celebrate the first day of summer, how about a beer form the world’s oldest brewery? Bayerische Staatsbrauerei Weihenstephan is that brewery from Germany and they claim they have been brewing in some form since 1040 AD. That is a long, long time ago. 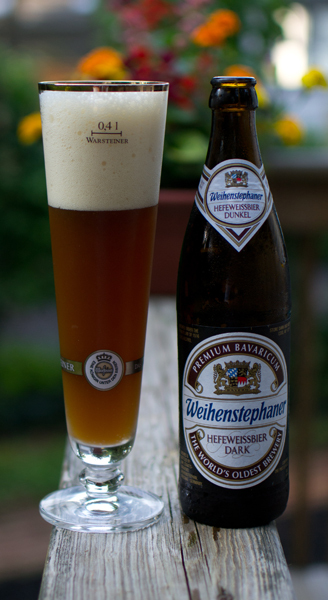 I doubt beer #205, Weihenstephaner Hefeweissbier Dark, is quite that old. This Dunkelweizen (German dark wheat beer) with ABV 5.3% looked very nice on the pour. The head went on forever atop this cloudy light brown (it looked a bit like iced tea) brew. The nose was a nice mixture of wheat, banana, bread and spices. The spices were cloves for sure. It tasted really good, all of the things I smelled I could taste along with a nice malty backbone plus a bit of fruit sort of like a melon. This was smooth and creamy with just a touch of tongue tingling carbonation. The body was somewhat south of medium but north of light. It was really refreshing and super easy to drink and enjoyable from the first sip to the last. I should have picked myself up another or three. Another excellent brew from Bayerische Staatsbrauerei Weihenstephan. This is my second from them and both are some of the best beers I have ever had. If you see this…you should give it a try, I don’t think you will be disappointed. 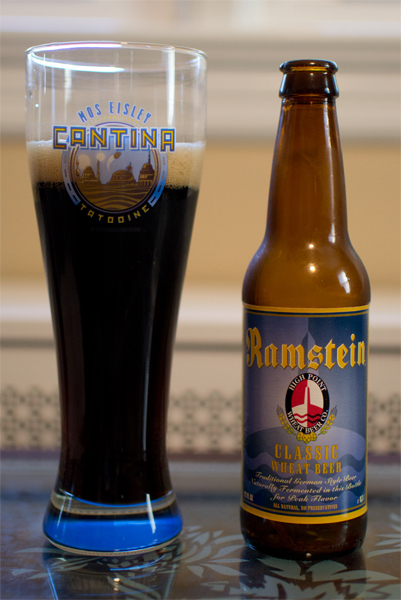 Beer #144 is Ramstein Classic Wheat by High Point Brewing Company from Butler, New Jersey. This beer with an ABV of 5.5% is a Dunkelweizen. A what you may ask? 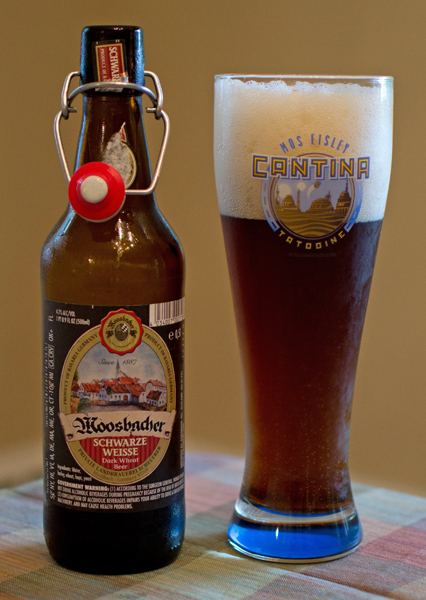 Why a Dunkelweizen which is a German wheat beer brewed dark. Sounds good to me…lets give it a taste. OK…I was shocked when I was pouring this into my glass. I was expecting something very light in color (just figured wheat beer…must be light colored). What I saw was a dark brown with a reddish tinge to it. The head was tan and nicely sized. The first thing I got from the nose was a nice smoky aroma. Again…quite unexpected. There were also some dark roasted malts and a bit of nuttiness. I didn’t get much aromas of wheat at all. It had a sweet caramel flavor first and foremost. Lots of roasted goodness going on here along with a slightly burnt and smoky flavor. It finished off a bit like coffee with just a touch of bitterness. The smokiness lingered on in the aftertaste. It had a medium body and just the right amount of carbonation for me. Very drinkable did I find this. I really dig the smoky aspects certain types of beer can have. This was pretty good…not too shabby for a Jersey beer. I think I will need to investigate Dunkelweizens in the future based on this. Prost!